Located just 6 km from the outskirts of South Edmonton. Travel South on QE2 towards Leduc/Red Deer. Take the Airport Road exit. Go West, towards the airport. Turn Right (North) at the 7-11 Convenience Store. Turn Left (West) at the 3-way stop (45 Ave). Turn right on 36 Street and continue for approximately 1 km and then turn Right (East) on 56 Ave. Proceed straight to access RedTail Landing Golf Club. Each turn is clearly marked with signage to the facility. 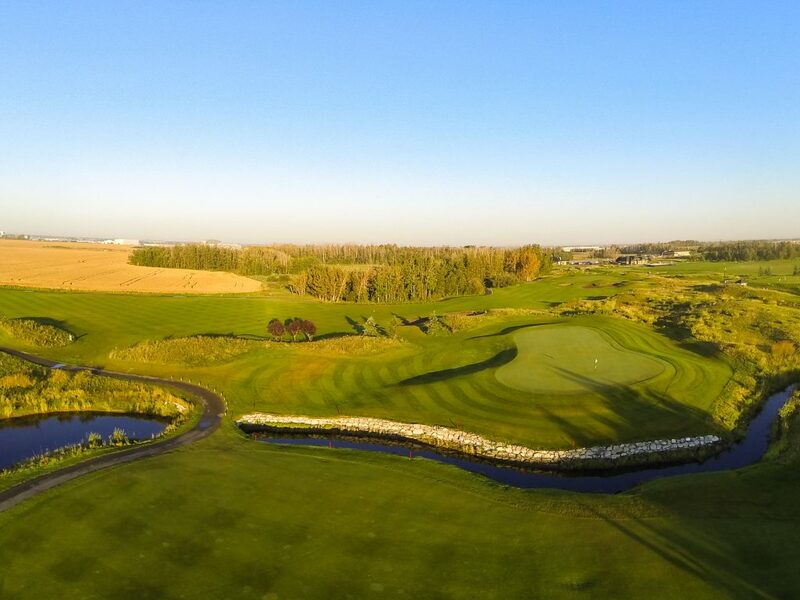 With an area of over 230 acres, RedTail Landing Golf Club defines what a world-class golfing facility should be. 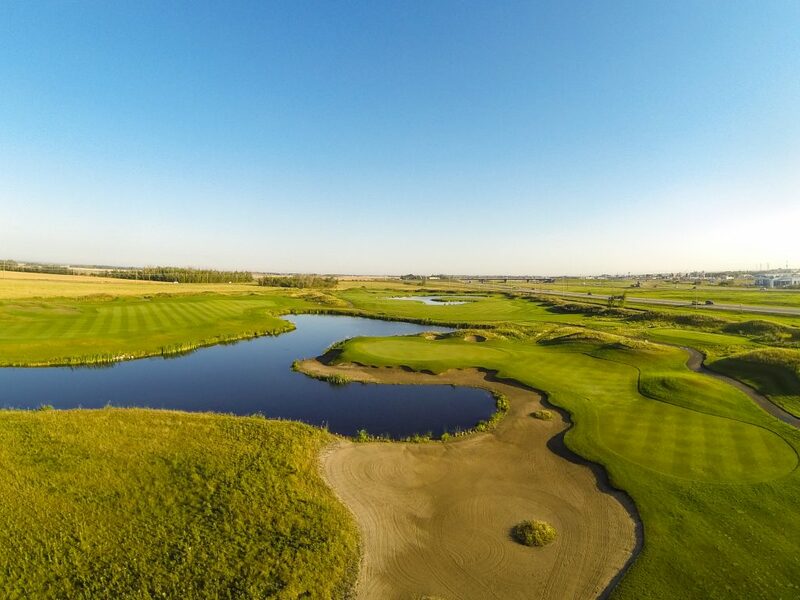 The course was designed by Puddicombe Golf, a family owned and operated business based in Nisku, Alberta that specializes in course design and construction. 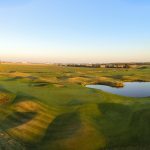 RedTail Landing is a praire-links-style 18 with wide fairways and strategically placed bunkers that contributes to a superb challenge to golfers with a variety abilities. 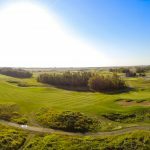 Located only a short drive from South Edmonton, near the Edmonton International Airport, RedTail is a must play course for all. Practice Facility: The state of the art Learning Facility at RedTail Landing boasts 19 acres that include everything you need for a quality practice session. With the perfect location like RedTail Landing, your event whether its a wedding, seminar, fundraiser, or corporate meeting, it is guaranteed to be a successful one. RedTail Event Services include: Picturesque setting for those once in a lifetime photos. New facilities with modern decor – minimal decorations required to create an appealing ambience. Weddings: Dreams can come true on your wedding day. We are here to help make your vision a reality. Our new banquet facility with modern decor that makes it easy for you to decorate, will accommodate up to 250 guests. You and your guests will enjoy the tranquil view of the beautifully manicured setting, while our delicious menu tantalizes your taste buds. Imagine yourself on the private patio featuring a waterfall and creek as a perfect backdrop …..part of your memories, preserved forever in your wedding photos. Take the travel out of your already busy day by hosting your ceremony, reception and gift opening all in one location. You can depend on our expert staff to ensure that the tiniest of details are taken care of on your wedding day. Banquets: Your special occasions are truly special when you hold them at RedTail Landing. Fresh, new facilities with minimal need for decorations accommodate from 20-250 guests. Behind the scenes arrangements, room preparation, audio visual needs, decorating and all the little details can be handled by our enthusiastic staff. You can relax and enjoy your special event. We’re sticklers for detail and put our experience to work for you. If your occasion calls for catering, Dean Stefanic, RedTail Landing’s acclaimed Executive Chef will deliver the very best food and beverage available. We strive to exceed your expectations every time – our thriving business depends on it. 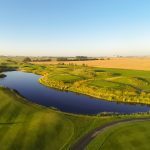 Accommodation: If you are attending an event, golfing or visiting the area, you may find it convenient to use our online hotel booking service to book comfortable accommodation close to RedTail Landing Golf Club. Enjoy your event and your stay! 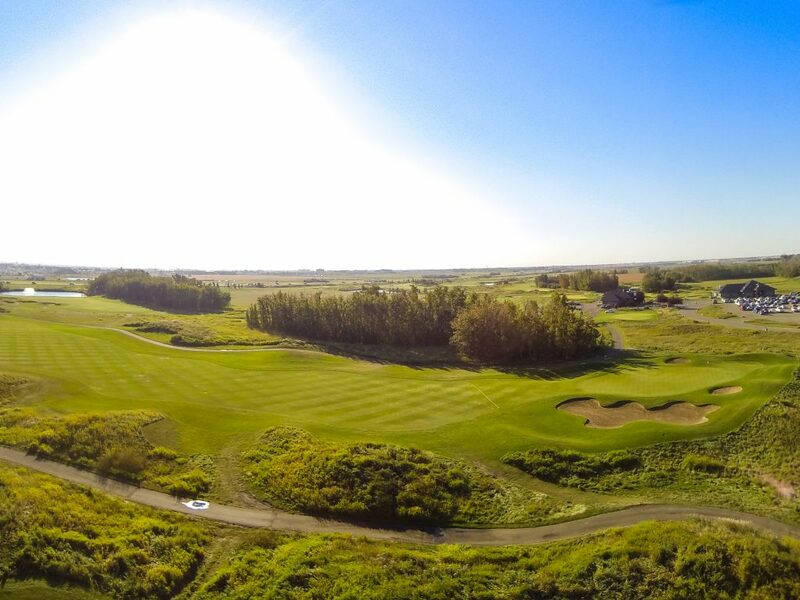 RedTail Golf Club in Edmonton is all about the way golf was meant to be played. After all, the guys who invented the game played in an area of land bereft of much more than sand, wind and a small hole to deposit their golf ball. That’s what links golf is all about and for those of us who love the challenge of stepping away from the country-club atmosphere of most tracks these days the one place that answers the bell here is RedTail. 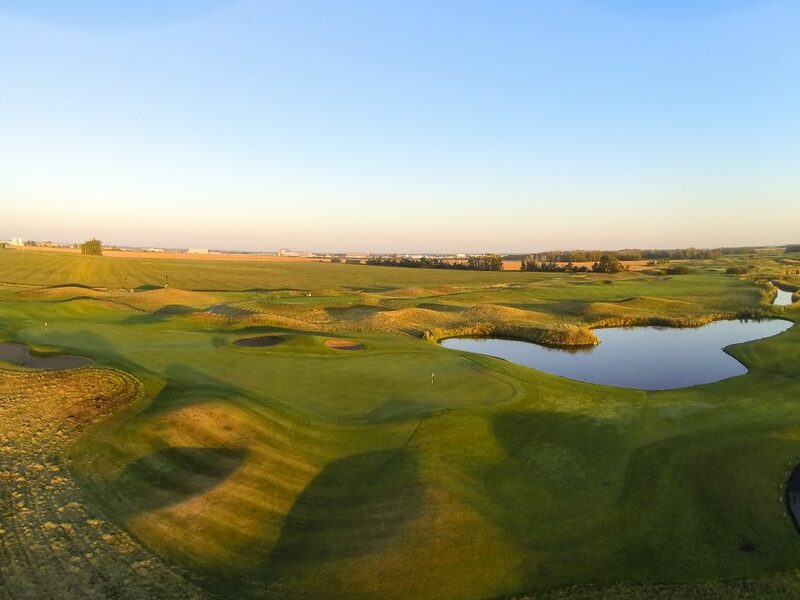 The course has been in play for nine years and has built itself a reputation as a true test of your ability, especially when the wind’s up. Head Golf Professional Josh Davison said his course, designed by the famed Puddicombe family, is set up to resemble its ancestors in Scotland. 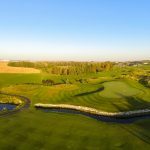 What it also features, on every hole, is a way to get your ball to the green by not having to hit it high and thus having the wind affect it – that is, if you’re in the right spot to pull these kinds of shots off. What one has to realize out here, Davison added, is that the course is challenging enough by itself. You, as a player, don’t have to help it out by thinking you can play from farther back than your handicap suggests and simply try to overpower it because, well, there aren’t many hazards really visible to the eye out here although they do exist. “We have five tee boxes,” ranging from the front at 5,466 yards to 7,322 imposing yards from the tips. The others boxes are set out at 5,988, 6,470 and 6,730 yards respectively. “You always want to play from the right tee box,” the pro commented. 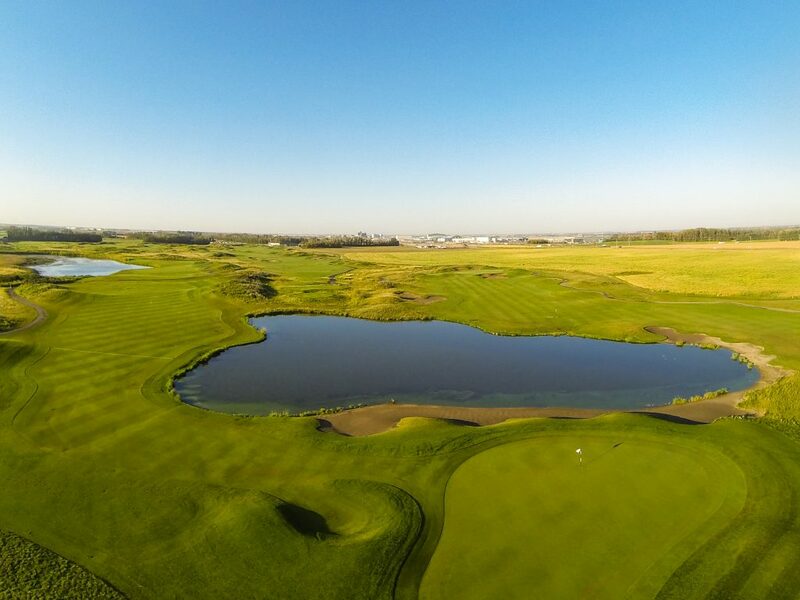 Jeff Sveen, the owner of Play Golf Alberta and a Class A professional says this course is demanding in every sense. “’As good as it get’s, bring all your clubs,’ is their slogan and this is so true,” he noted. To help you out on the course, and elsewhere, RedTail offers a superb, natural grass practice area. Every hole here is a test but to Davison, and likely the vast majority of players that make the rounds here each season, the toughest hole is the par 5 11th, a 526-yard jolt off the blue tees with a forced carry over a huge water hazard staring you down off the tee. There are suggested routes on the cart-provided GPS unit, with measurements to each landing point, but that’s really beside the point. First, you have to get the ball up, and over, the water to carry on. 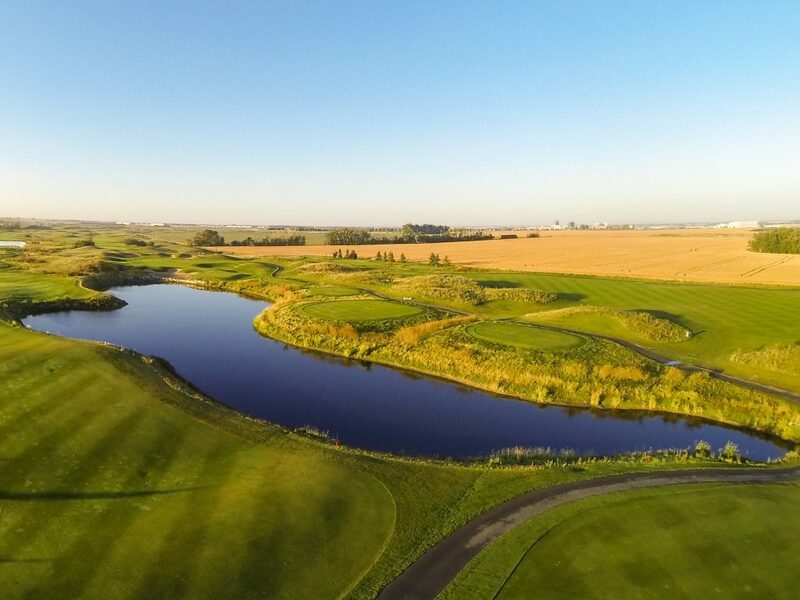 “The things that set us apart from everyone else is the condition of our golf course, the quality of our greens and our overall service,” Davison said about that country-club feel not being overlooked beyond the bounds of the course itself. 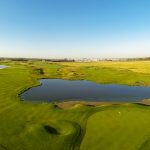 To course superintendent Brad Eshpeter, it’s a continual battle for he and his staff to keep this course in the great condition golfers expect at RedTail. That includes both on the greens and in the bunkers. Eshpeter went on to say his crew fixes at least 30 to 40 ball marks every day – on every green on the golf course, so you can see why they need the player’s help. As for the many bunkers that dot this course, they’re being retrofitted, the superintendent noted. He said the wind at RedTail plays havoc with trying to keep sand in place and if they become a bit scarce of the commodity, people let him know. “It’s important to stay on top of the bunker issue,” he agreed. “That’s one thing people let you know about and we are addressing that,” by redoing the hazards. For Food and Beverage Manager Dean Stefanic, golf course food doesn’t have to be, well, golf course food. He noted RedTail offers an extensive and different eating arrangement for players and after-round eats. Such ideas include hot sandwiches at the halfway window, where while you can grab fast food you can also eat a bit healthier here. What is also different is the daily lunch buffets offered here, where a hungry golfer can eat to their heart’s content on daily specials. As well, RedTail caters to tournaments, weddings, and things like company retreats for up 250 people on a year-round basis. 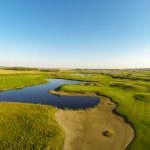 So, to test your game in a style that’s not overly common in today’s golf community, both on the course and in the restaurant, go to www.playgolfalberta.com for a tee time.